What color are the frog and the strawberry? 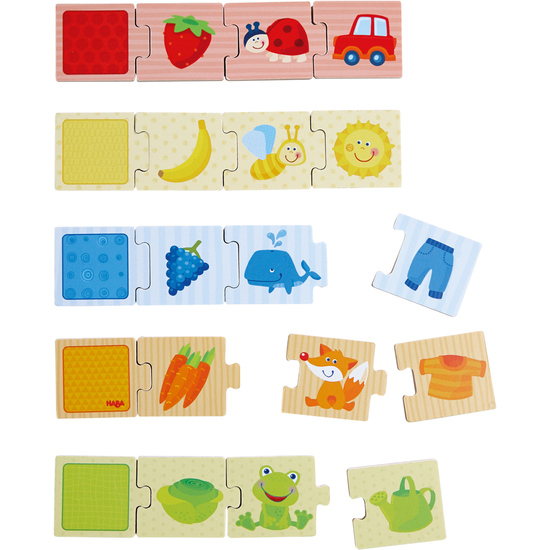 Children match each of the five color tiles with their corresponding motif tile. This way they become acquainted in a playful manner not just with colors but also with animals and objects.